University of Wisconsin System President Ray Cross. 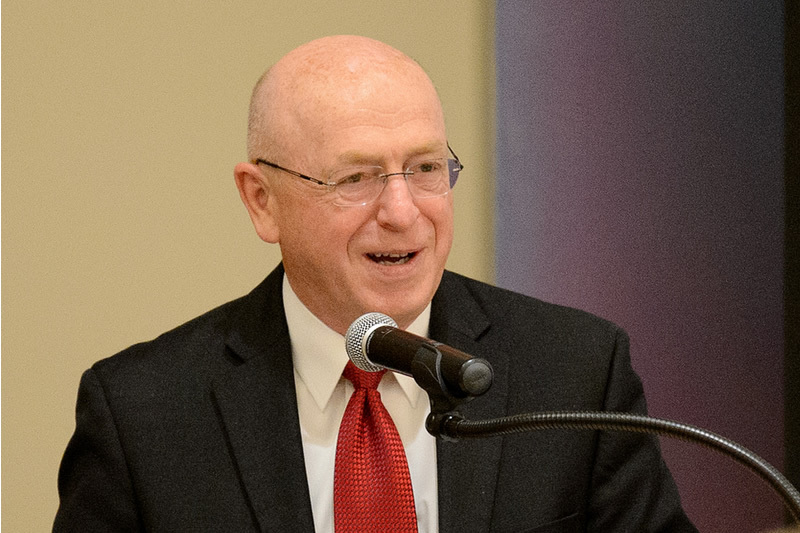 University of Wisconsin System President Ray Cross said Thursday that Gov. Scott Walker's proposed budget for state colleges and universities is a "move in the right direction." Cross testified about the UW System budget before lawmakers on the state budget committee Thursday afternoon. Walker's proposed budget for the System includes about $135 million in new funding, $42.5 million of which would be tied to performance measures. Cross called the proposal, "the best budget the UW System has seen in a decade." Shortly after taking office in 2011, the governor called for a $250 million cut to the UW System. "This is a move in the right direction, and it’s a move I’m most appreciative of," Cross said Thursday of the 2017-2019 budget. But Cross disagreed with another important piece of Walker's budget: Cross said he believes instead of the governor's proposed 5 percent tuition cut, the state should focus on increasing need-based financial aid. Lawmakers asked Cross about the governor’s proposal to require free speech on UW System campuses. The proposal mandates campuses "guarantee all members of the system's community the broadest possible latitude to speak, write, listen, challenge, and learn." Cross said that is "almost identical" to existing system policy. "He’s embracing what we already have in place, we’re not opposed to that at all," Cross said of Walker's proposal. The move comes as some Republican lawmakers in the state Capitol have said conservative viewpoints don't get enough attention on campus. Cross' testimony also included discussion of the state capital budget, which has not included many requested building projects on campuses across the state. Critics argue delaying those projects will ultimately increase costs. Walker has said this budget is focused on improving existing facilities, rather than building new ones. Editor's Note: Wisconsin Public Radio is a service of the University of Wisconsin-Extension and Wisconsin Educational Communications Board.